A large international collaboration will probe dark energy with not one or two techniques, but four, using a giant new camera attached to a telescope in Chile. Two techniques used by the Dark Energy Survey (DES) will map the distribution of galaxies in the universe. One of them will plot more than 10,000 galaxy clusters that are spread across a wide region of the sky. DES will work with the South Pole Telescope, which will chart the energy output of thousands of clusters in the southern sky. DES will measure the distances to these same clusters. The combination of distance and energy output will reveal the mass of the clusters, including their dark matter, as well as their distribution through the universe. Different models of dark energy predict different distributions of galaxy clusters, so maps of the real distribution will help astronomers narrow down the list of possible explanations. The second galaxy technique will measure the spacing between galaxies at different times in the history of the universe to search for a pattern imprinted in the Big Bang. The pattern grows with the universe as the universe expands. Its exact growth rate reveals how fast the universe has expanded at different times in history, which reveals the influence of dark energy at those times. 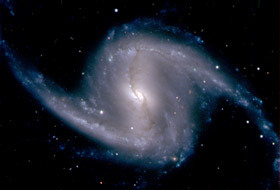 DES also will search for supernovae in distant galaxies, which is the same technique used to discover dark energy in the 1990s. And it will carefully measure the shapes of very distant galaxies to see how their light has been distorted by the gravity of dense clusters of galaxies. Like the other galaxy techniques, this one reveals the distribution of dark matter, which is influenced by dark energy. 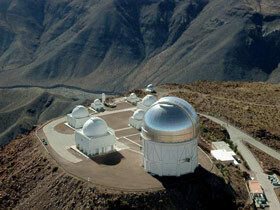 The DES collaboration developed a 570-megapixel CCD camera to attach to the 4-meter (158-inch) Blanco Telescope at Cerro Tololo Inter-American Observatory in Chile. The camera entered service in 2013, snapping hundreds of images each night. Each picture will cover an area equal to several full Moons, so the camera will see a large swath of sky each night. 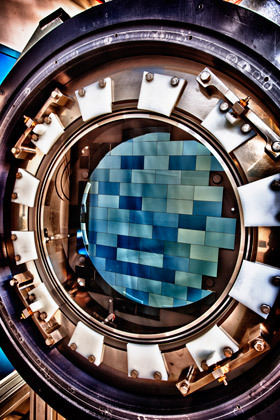 With the camera completed, the Dark Energy Survey will begin full operations in September 2013, when the region of sky DES will study climbs into view.